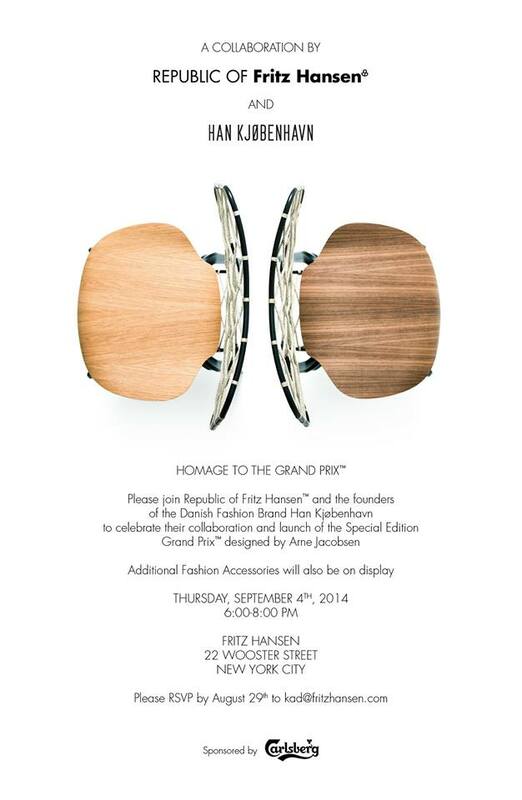 Danish fashion label HAN KJOBENAVN teamed up with Fritz Hansen to release a version of the iconic Grand Prix Chair. 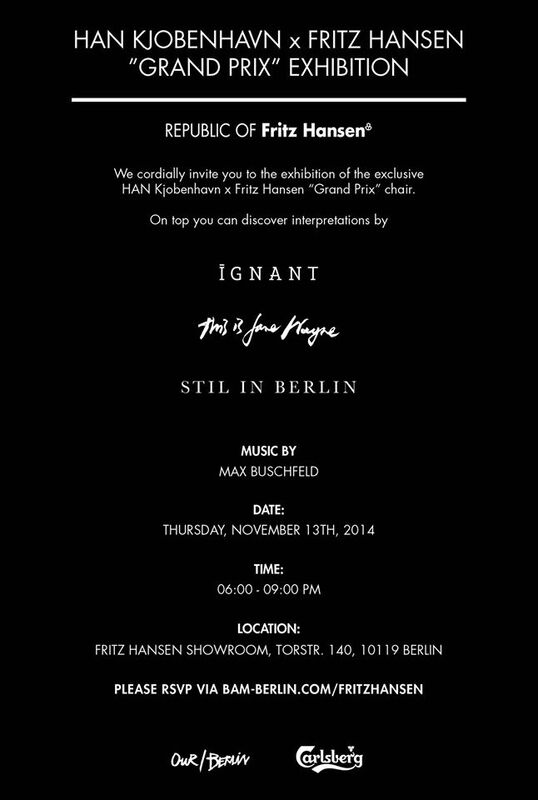 Tonight this will be an excuse for a party in Berlin. Together with Ignant, Stil in Berlin and This is Jane Wayne, Fritz Hansen opens their showroom and a few Carlsberg bottles. Cheers! 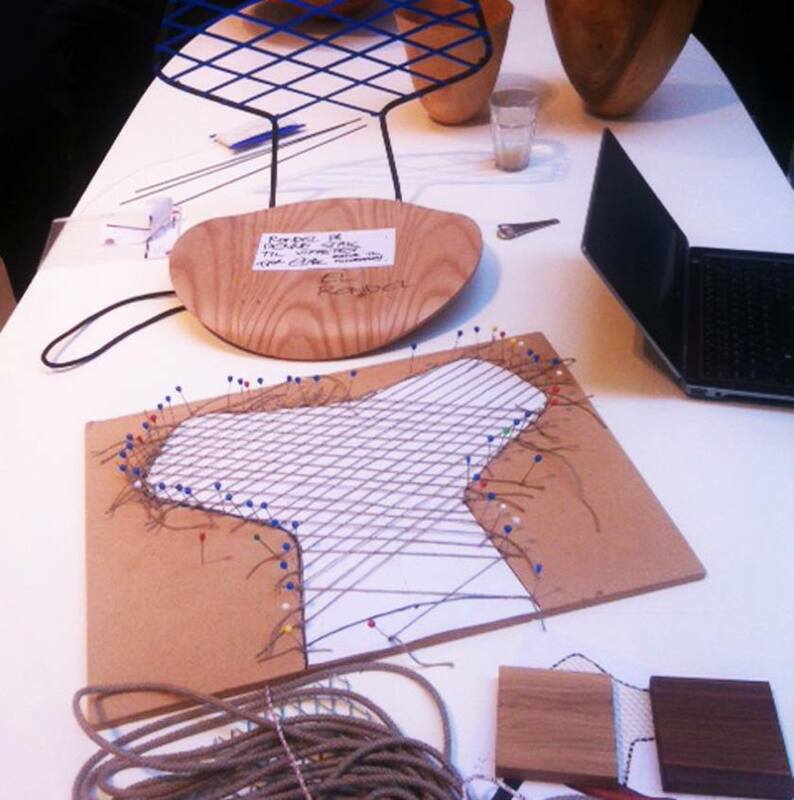 This entry was posted on November 15, 2014 by Chef de Cuisine in Home Collections and tagged Fritz Hansen, Furniture, Han Kjobenhavn.